Our mixed-age classes are perfect for families who wish to bring two or more children of different ages to the same class, or for parents who simply prefer a mixed-age setting for their child. These classes allow infants through seven-year-olds—and their caregivers—to gather together for a fun-filled learning experience. 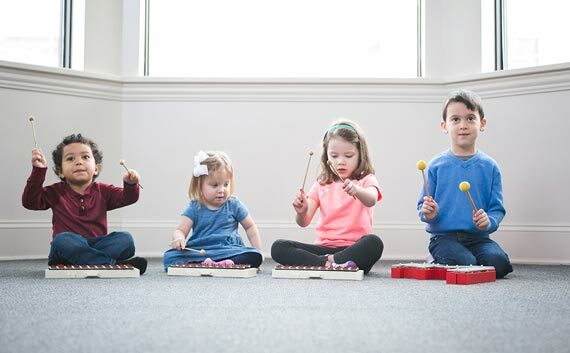 Your Kindermusik educator will help you modify movement activities, group dances, and instrument-play activities for each of your children.